This holiday season, Santa will be out taking care of all the good boys and girls. But what about your company? Haven’t you devoted enough time and energy to taking care of your customers? Of course you have! In this cheeky video below, MAN shows a little bit of the Christmas spirit, in a unique way. We wanted to post because we’re thinking about the Christmas spirit too, but in a different way. See, true car people are all about customisation at every turn. We want to take something and make it bigger, better, and more awesome than before. From a business standpoint, if you have transport needs, it’s time to take a closer look at how customisation could make your day to day objectives easier to meet. MAN issued a press statement a little while ago mentioning the upcoming MAN TGE, a transporter that can be easily customized for all types of applications. For example, if your business relies on refrigerated foods, you want to be able to have transport options that would keep the food at the required temperature for the entire length of the journey. This can get tricky if there are multiple deliveries along a route, such as the case when companies deliver food directly to a customer’s home. At-home food delivery is a booming market that has a lot of growth, but it all starts with having the right infrastructure at the beginning, or being able to add it as time and resources allow. The commercial world shows us a small glimpse into why automotive customisation will never go out of style, and we look forward to seeing how businesses use the MAN TGE line in their daily driving. The transport line is not set to be produced until Spring 2017, so actual production hasn’t occurred just yet. Let’s wait and see what happens! 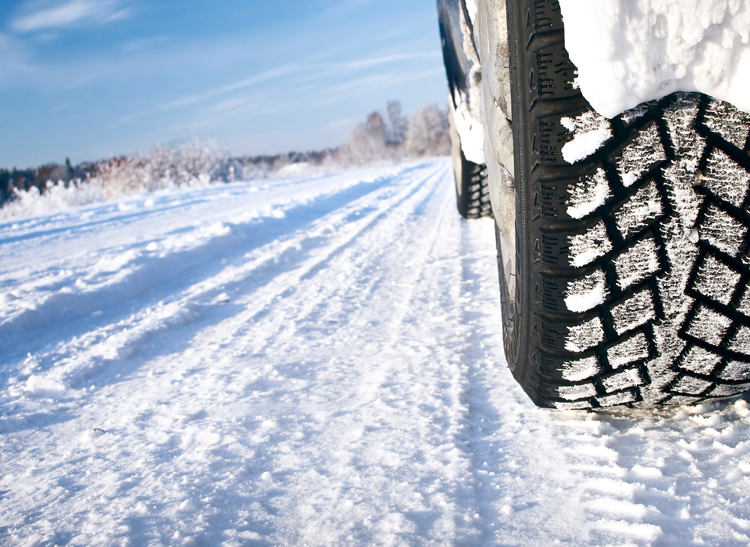 In the winter time there are more accidents on the road with confused.com reporting that as many as a quarter of all motorists have had some sort of incident in poor driving conditions during the winter. The motoring editor at confused.com; Amanda Stretton explained that many people get tempted to drive as quickly as possible in bad weather so they can reach their destination quickly but driving fast in poor conditions is dangerous and drivers should be more careful and planning their journeys carefully first. Technology buffs and car fans, lend us your ears: the classic showroom is getting a whole new look. 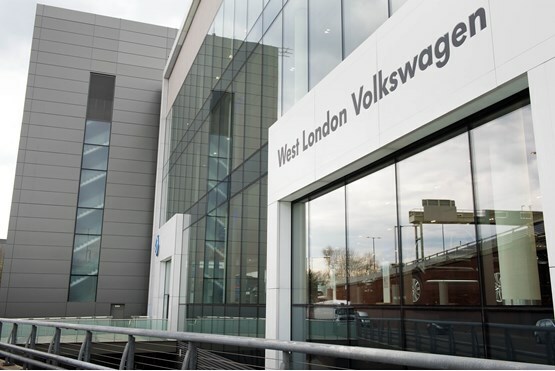 Inchcape Volkswagen just launched the largest UK showroom, but save your “wow” for the end of this article. Why? The features are too good to miss. You can see it in person by heading down Capital Interchange Way in Brentford. The facility expanded enough to support 90 cars on four levels. The inclusive service philosophy is on display here, where everything is offered in-house under one roof. From quality sales servicing to top notch repair, the 70-person-strong team is waiting to take care of customers’ needs in record time. If you’re one of the fortunate people that have a circle of friends and family willing to take you anywhere and everywhere that you need to go, Motability probably isn’t on top of your mind right now. Unfortunately, there are plenty of people relying on public transportation, taxis, and flaky handlers to get their day to day errands taken care of. While this works for a while, there comes a point where you want to do more than just exist, living from one shopping trip to another. There’s only so many times where you can get excited about buying milk, for example. The Motability allowance gives people the freedom to finally take their lives back through consistent, reliable transportation. Having a motability allowance is powerful, as long as you have options in terms of how to spend your allowance. You want to focus on the future, and being able to get something that’s going to serve your needs well. In addition to this concern, you want to take your allowance to a reputable place. Sadly, there are plenty of bad schemes out there that prey on the sick and disabled, which always breaks our hearts when we hear about it. When consumers start to enter the market for a new car, where do they go? Generally speaking, they go back to a company that they’ve already done business with, or one that they trust through the recommendation of a friend. It’s this spirit that is driving a acquisition in the car dealership industry, with Lookers plc acquiring Benfield. The newly-acquired dealerships will now be known as Lookers, and there’s quite the awareness campaign going on. It goes a bit deeper, of course. Both companies are driven by close customer interaction, family traditions, and a long history. Lookers is focused on easing people slowly into the new name, while maintaining the processes and customs that customers count on as they make their purchasing decisions. Everyone loves a good bank holiday, as long as you’ve planned ahead of time. This is usually a great chance to see family and friends, since most will have time away from the office whether they like it or not. We talk a lot about consumer cars, which is fine because that’s what we’re all looking at. But sometimes it’s nice to see what type of technology is powering our transportation on a bigger level. Public transportation has its fair share of detractors, but that doesn’t mean that this is something that you should avoid. Not everyone can afford to operate a car. The true cost of ownership for a vehicle may be a lot more than you think. Why? You have to add up all of the expenses that are involved with owning and operating that car, form the purchase all the way to handling fuel and repairs. Insurance is another expense that has to be calculated. Did you know that your insurance can go up every year based on a wide variety of variables? If the insurance company feels that your area has gotten more dangerous, they could raise your rates just on that alone. But let’s get back to the fully electric bus, the topic of today’s article. We think that getting off a fuel dependency is a good thing, especially when that fuel is petroleum-based. Ryan Popple is formerly of Tesla Motors, a company already well known around the world for electric vehicles. But Popple is stepping away from consumer EVs and looking at a fully electric bus. The specs so far are incredible: 200 miles on a single charge, and a full recharge in roughly ten minutes. The 0-20mph acceleration measure is incredible, outpacing many electric sedans despite being forty feet long. The company behind Popple is called Proterra, and they’re focused on building the best electric bus possible. The current model is considered to be one of the lightest in its class, without sacrificing the performance of a heavier transportation vehicle. The company was founded by Dale Hill, who innovated with buses first before looking at other vehicle classes. The bus is still one of the core vehicles in their arsenal to this day. 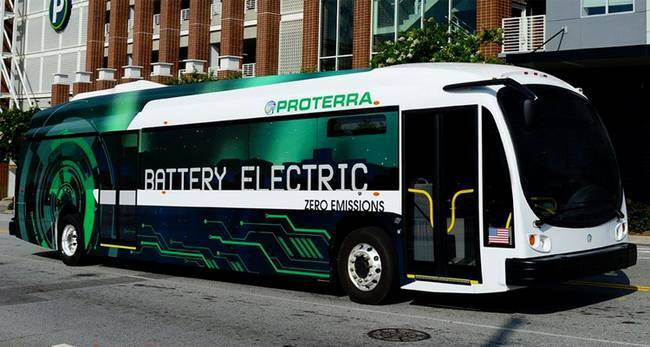 Proterra has plenty of competition, even if it’s not Tesla right now: global firms are looking at how to bring the electric technology to fruition without having to use biodiesel as a fallback. What’s exceptional about Proterra is that the buses are connected to wireless charging stations at specified stops. This lets passengers unload and come on the bus without having to pause for recharging aside from the stop. The buses are making their way across the US, from LA and Seattle to Lexington (KY) and Dallas, TX. There are other pitfalls looming, despite the electric bus’s promise. For starters, the traditional diesel-eater is cheaper, because the battery powering the all electric bus is still expensive. But the battery packs are indeed falling in expense, which increases the overall appeal. 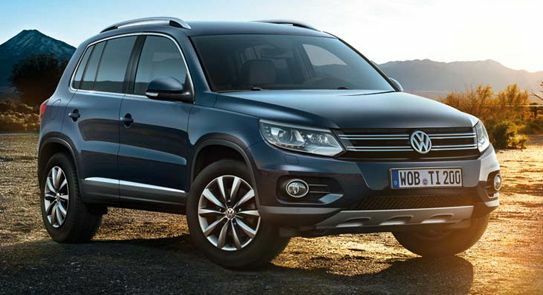 We think that even if the diesel type is cheaper, the all electric is still more appealing. Remember that cities have to look long term in terms of investments. Betting on all electric technology is a wise move that will pay off handsomely for many cities.